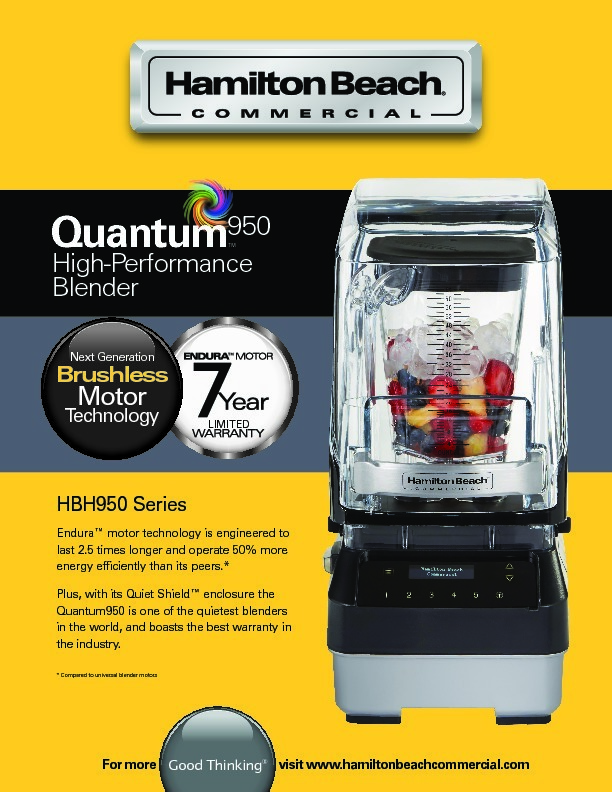 High performance blending takes a Quantum leap forward with Endura™ Motor Technology which comes with a seven year motor warranty, the best in the industry. Featuring our unique Quiet Shield™ enclosure, the Quantum®950 enables you to serve your customers super-creamy drinks without disturbing their conversations. 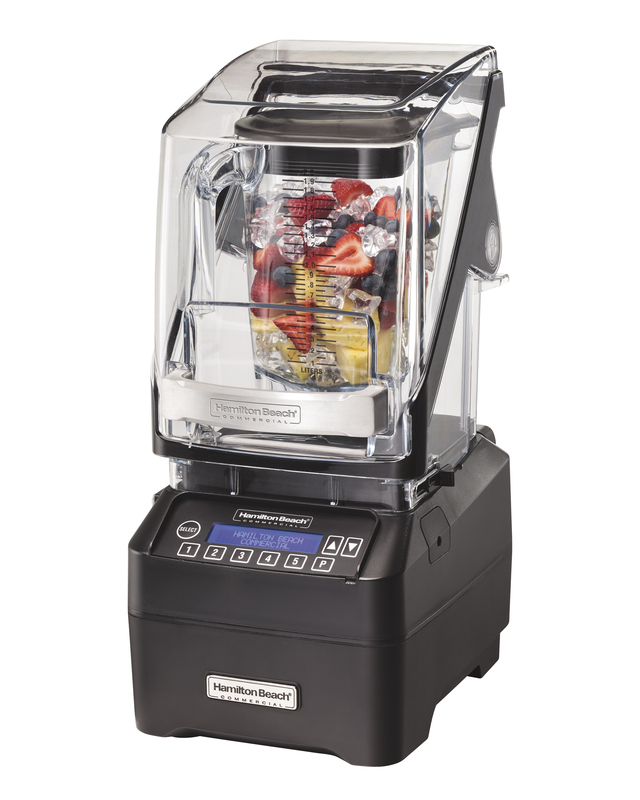 The Quantum 950 is running 24/7 at the Hamilton Beach Commercial corporate headquarters to demonstrate the long life and durability of our new Endura motor technology. 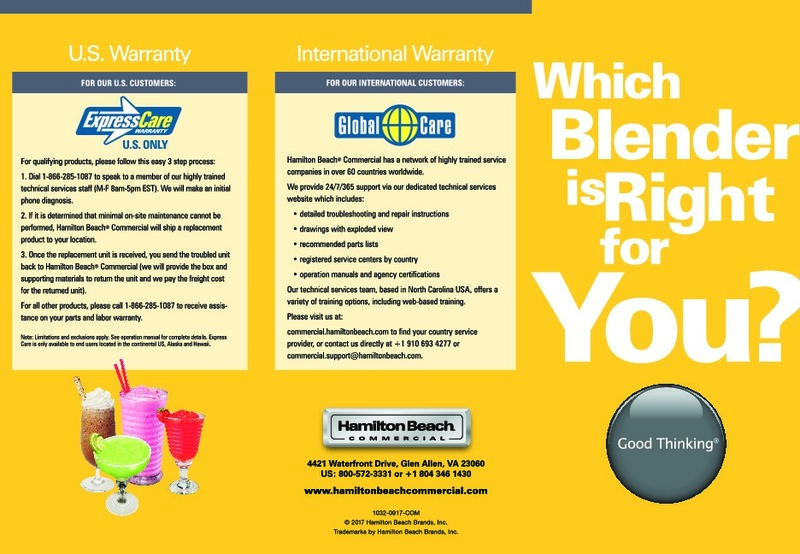 It comes with a 7-year motor warranty, the best warranty in high-performance blending. Endura™ Motor Technology uses a brushless motor which is engineered to last as much as 2-1/2 times longer than its peers. 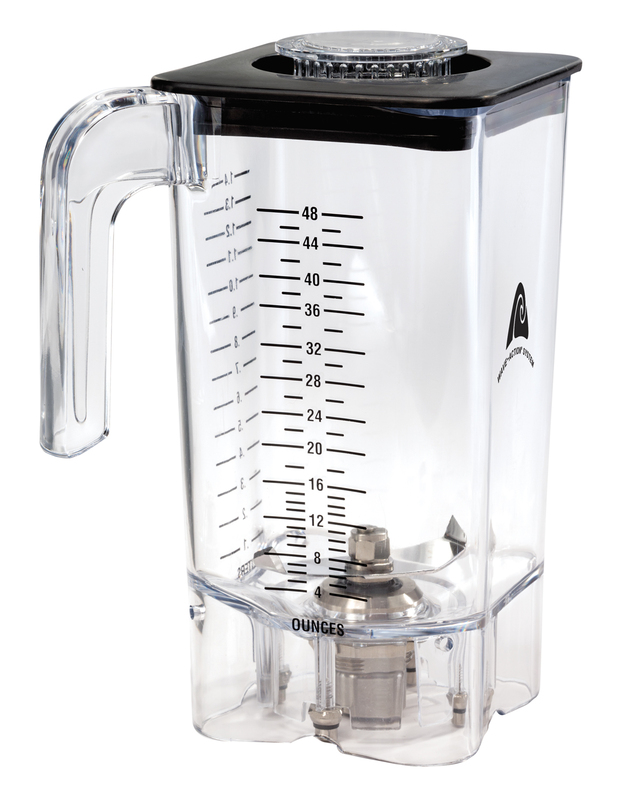 The motor is tested to be up to 50% more efficient than standard high performance blenders with universal motors. 7 year motor warranty is the best in the industry. Assign cycles to 5 buttons from 30 pre-loaded programs. 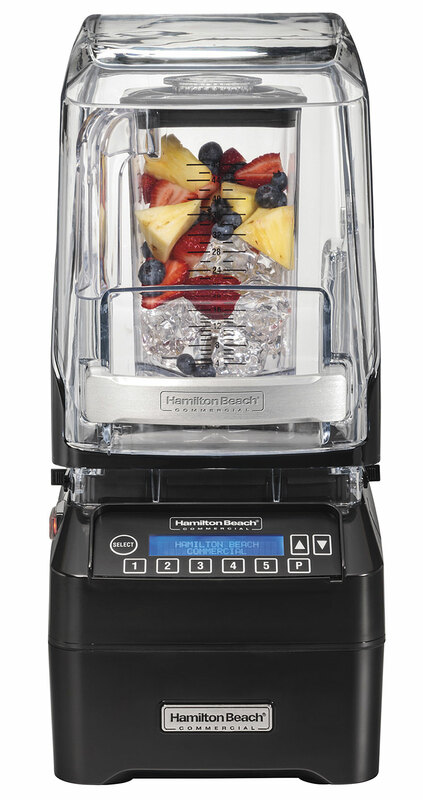 The programs cover a variety of applications from hard-to-blend smoothies to frozen cocktails and frappes. An additional 30 custom programs can be uploaded via USB drive. 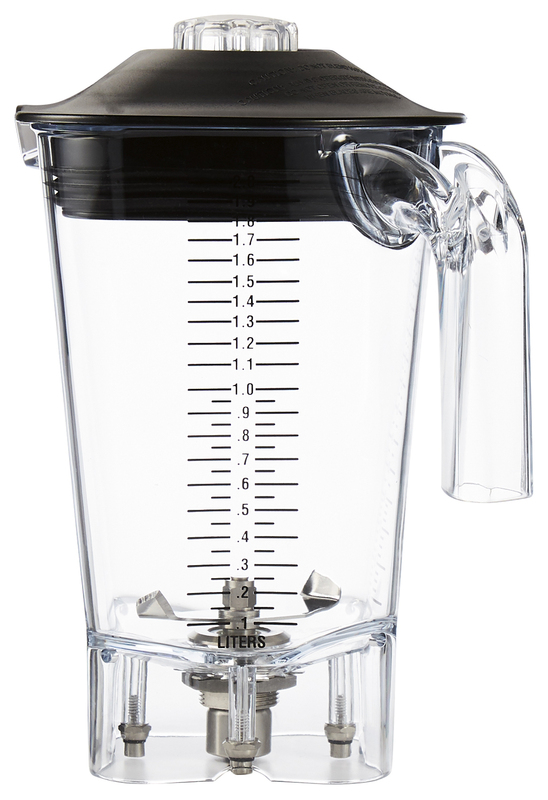 Ordinary blenders spin contents around the walls of the jar, which can leave whole chunks untouched by the blades. 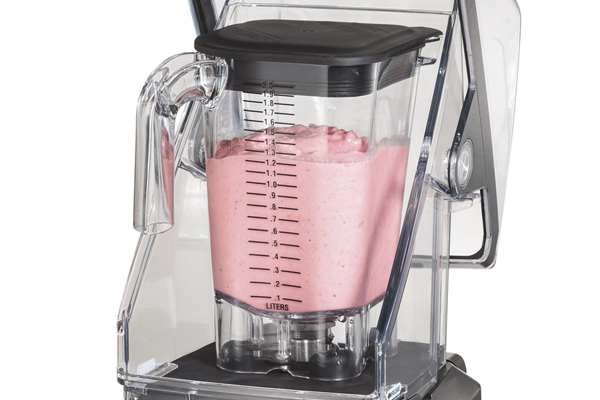 The Wave~Action® System has a unique container and blade design for a super-creamy profile every time. Break-resistant polycarbonate jar stores in less space to free up your counter. 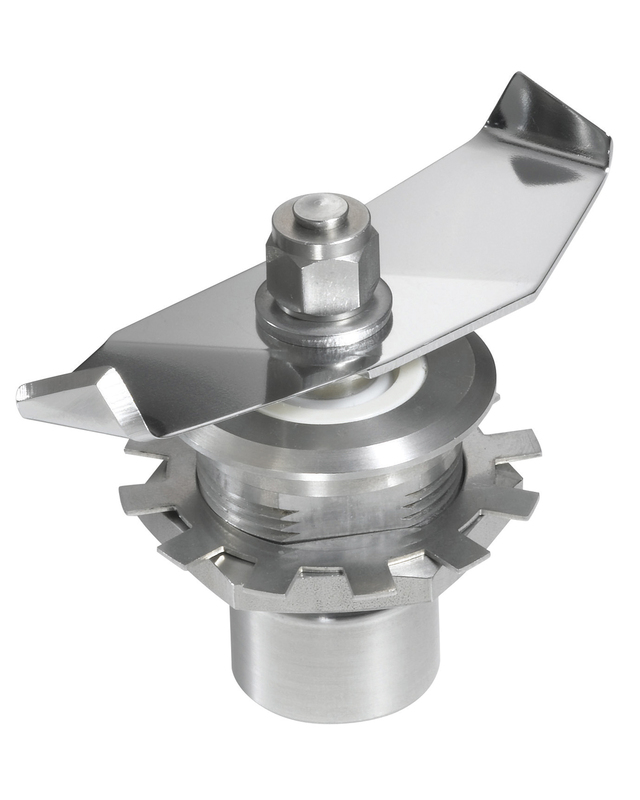 Cutter assembly design features dual bearings for enhanced jar life. 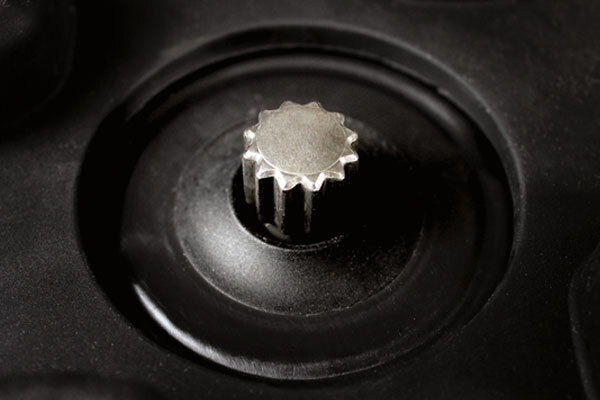 When the Quiet Shield™ is opened, the sensor turns the motor off to help prevent careless clutch grinding and extend the life of the jar. 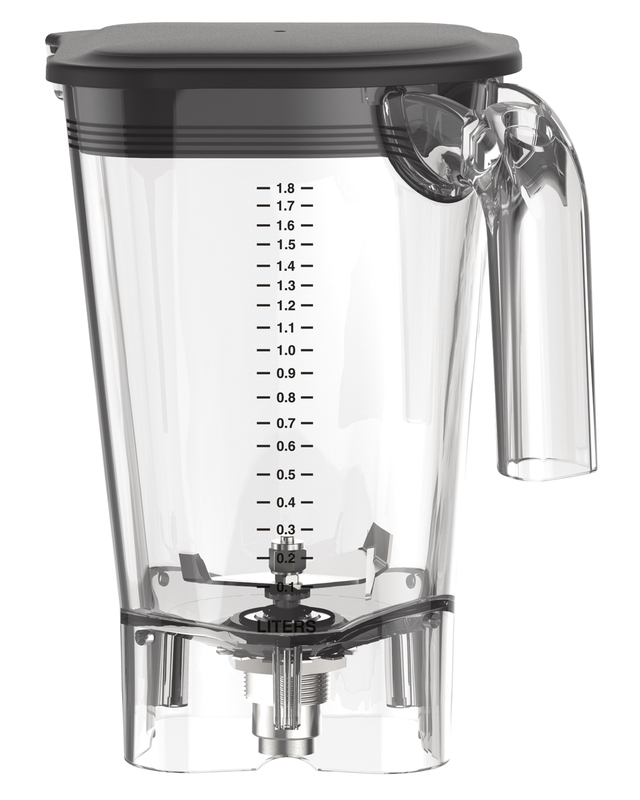 Quiet Shield™ makes the Quantum™ one of the quietest blenders in the world. 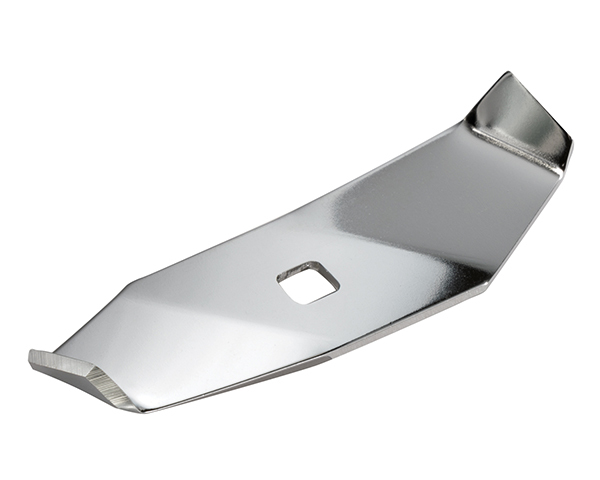 Shield opens to a maximum height of only 21 inches / 53cm so that it can easily be installed under cabinets. 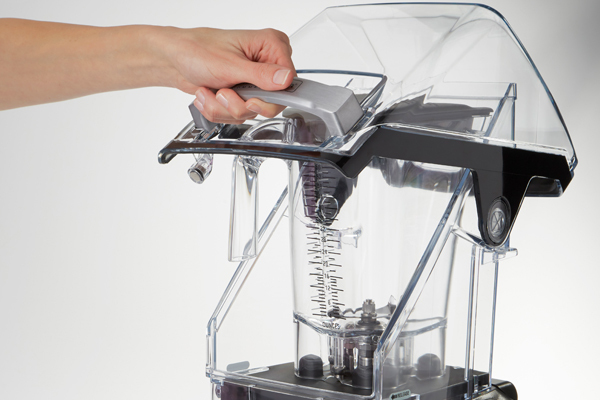 Motor turns off when operator lifts Quiet Shield™ to ensure quiet blending every time. The Quantum alerts the operator before motor overheats to train against misuse. 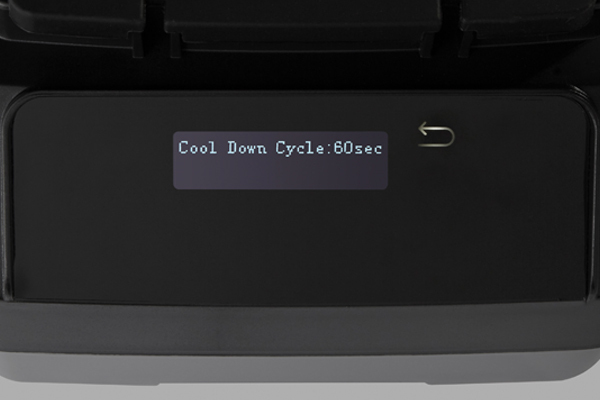 Quantum also features a cool-down cycle to quickly reduce motor temperatures and resume normal operation. The stainless steel blade and motor drive coupling are warranted to be free from defects in material and workmanship for the life of the product. For a detailed warranty statement, please click here. 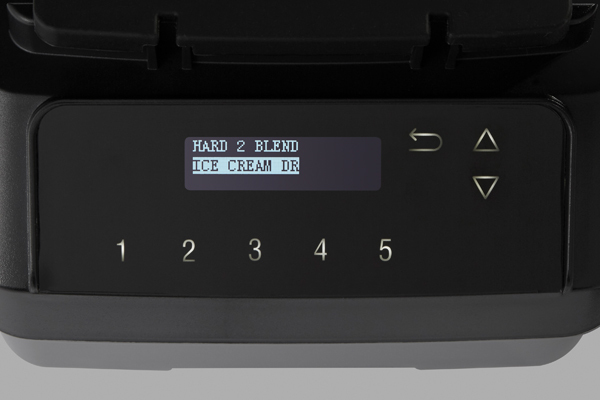 The capacitive touchpad features global symbols and a scrolling digital display, making it intuitive for the operator to change blend cycles or check diagnostic data. 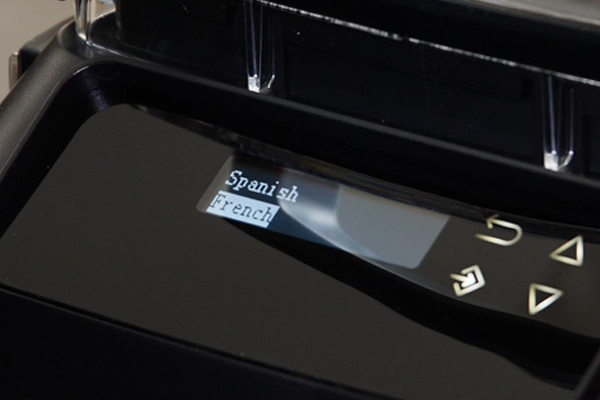 Out of the box The Quantum comes with English, Spanish, French, Portuguese, Korean, Japanese, Chinese, German, Arabic, Russian and Italian already available. Use the touch display to change the primary language to suit your needs. Because the Quantum® features Endura™ Motor Technology, we are proud to offer a 7 year motor warranty, the best in the industry. 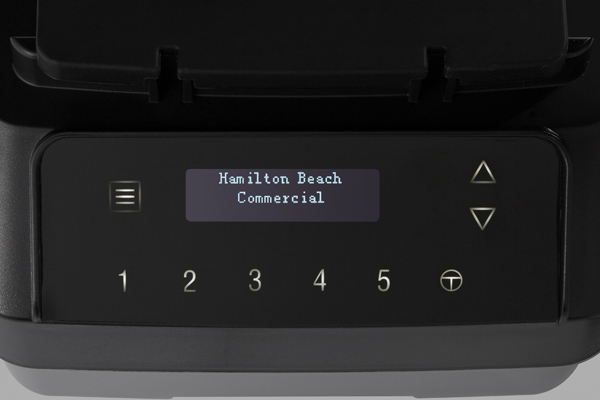 Inside the continental US– This product has an Express Care Warranty covering service for the first two years, where a replacement unit will be quickly dispatched to your location if needed. To understand how our Express Care Warranty works, please click here. 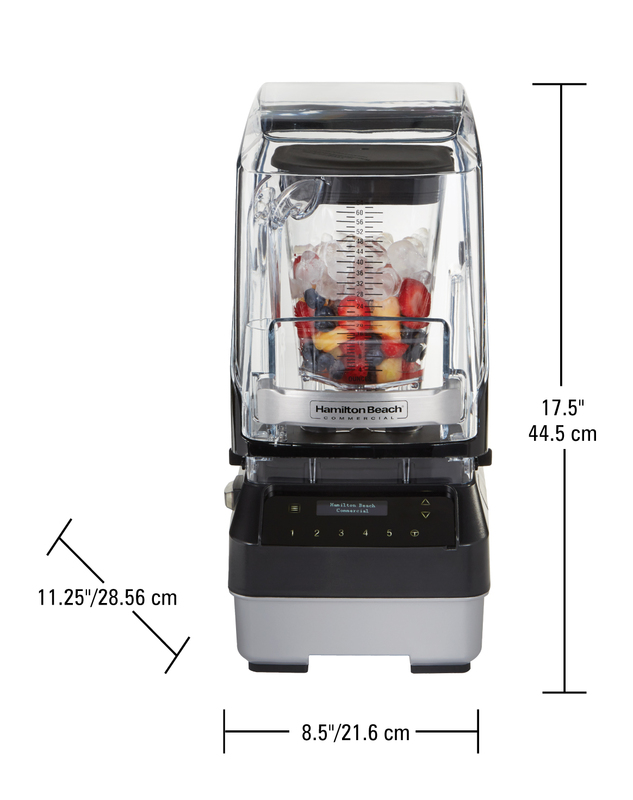 Outside of the continental United States – This product carries a Global Care Warranty for three years. This warrants the product against defects in material and workmanship. To understand how our Global Care Warranty works, please click here. 2 L container, Quiet Shield™ sound enclosure.